Nearly 30 GT3 cars from eight brands fight for the title in the ADAC GT Masters – the “league of dream sports cars”. 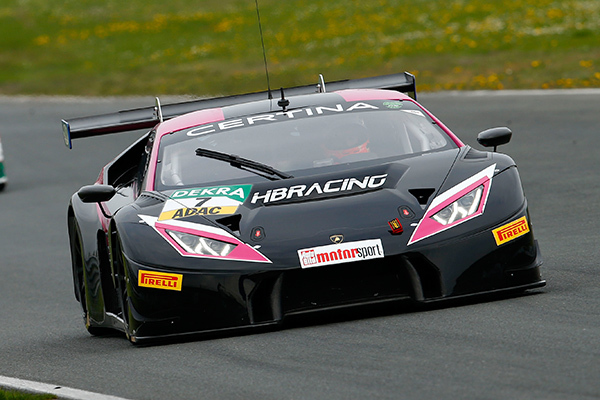 Norbert’s Lamborghini Huracán GT3 races against cars like the Porsche 911 GT3, the BMW M6 GT3 or the Mercedes AMG GT. From the season opener in Oschersleben until the final in Hockenheim two one-hour-races are held each event. Two drivers share a car in the ADAC GT Masters, Norbert’s team-mate is another pro-driver, Marco Mapelli (Italy). Together the duo wants to fight for top-results. Every driver does the qualifying for one race, in which he will be the starting driver. A driver change is mandatory between the 25th and 35th minute of the race. All races of the 2017 season are broadcast live by SPORT1.